Sometimes we all wonder these people who are 24/7 active on social media especially on Facebook, don’t they have any personal life? Well a new research has gave answer to it. It says people who are insecure in their relationships are more actively engaged on Facebook; frequently posting on walls, commenting, updating their status or 'liking' something somewhere. Scientists say they do all this in hope of getting some attention. 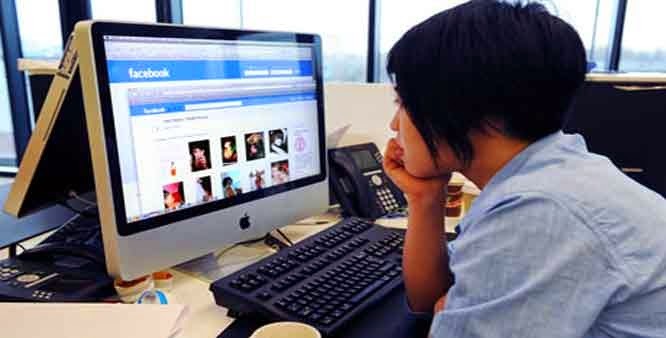 Researchers at Union College in US asked in two surveys, of nearly 600 people ages 18-83, about their tendencies in close relationships and their Facebook habits. They found that there are at least two kinds of active Facebook users; one who are higher in attachment anxiety, and people who are higher in extraversion. People who worry that other people don't love them as much as they want to be loved reported greater amounts of what the study refers to as "feedback seeking" on Facebook. Analysis say these people need a lot of reassurance that they are loved and are very sensitive to other people's opinions about them, they turn to Facebook, with its 1.2 billion users, for feedback. This study was published in the journal Personality and Individual Differences. "Compared to more secure people, those higher in attachment anxiety are more feedback sensitive," said Joshua Hart, associate professor of psychology and the lead author of the study. "They report feeling much better about themselves when they get a lot of comments, likes and other feedback on their posts and worse about themselves when their Facebook activity generates little attention," Hart said. More research is needed to determine the reasons behind extraverts' active Facebook use, researchers said.